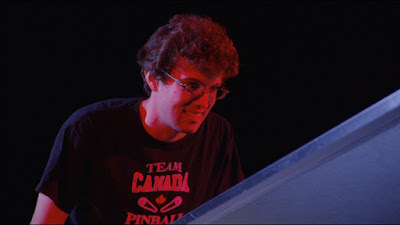 Robert Emilio Gagno (Reg) is a young man with autism who happens to be be a pinball wizard. As he prepares to go out into the world and be independent of his parents he readies to compete in the world championship of pinball. The wizard mode of the title is a special mode on pinball machines that basically has every bonus or special feature activated. It is the goal of every pinball player to unlock it and get maximum points. This is a hard film for me to review. The film on its own terms is a good little film. Its a nice coming of age story that isn't wholly pinball oriented, instead in the second half it focuses on Robert's first steps into the world.I like the film, but the shifting of gears makes it a hard film to hold on to, first it's one thing and then another. To me the two halves, the shifting focus never completely blended and I started comparing the film to other recent films instead of taking it on it's own terms. For me it was hard not to compare the film to gaming docs like SNAKE VS MAN or recent autism docs such as AUTISM IN LOVE or LIFE, ANIMATED, whose arc of going out in the world it cloely mimicked. I know boo hiss me for comparing this film to those, but it's kind of hard not to since the structure of the film largely a gaming doc for the first half and a full on coming of age tale in the second forces one to do it since the focus makes it two stories. 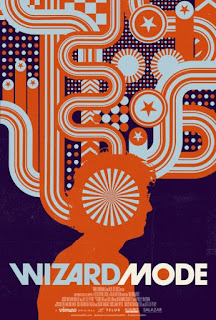 And before you scream at me and say I don't understand that the film is kind of structured as a pinball game- a slow start of Reg being a pinball wizard giving way to the wizard mode of life in the real world I do. I just wish one had lead into the other better. Worth a look if interested, but not something you're likely to rave about. The film opened the Portland Film Festival last night and plays again Friday. For more information go here.